What looks like it’s been run over by a lorry but makes you go aaaah after one bite? 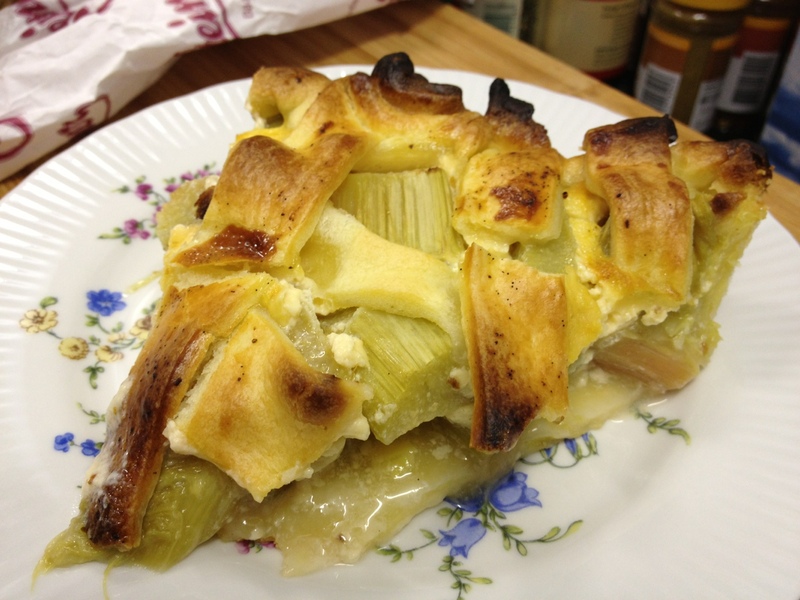 My rhubarb lattice tart! 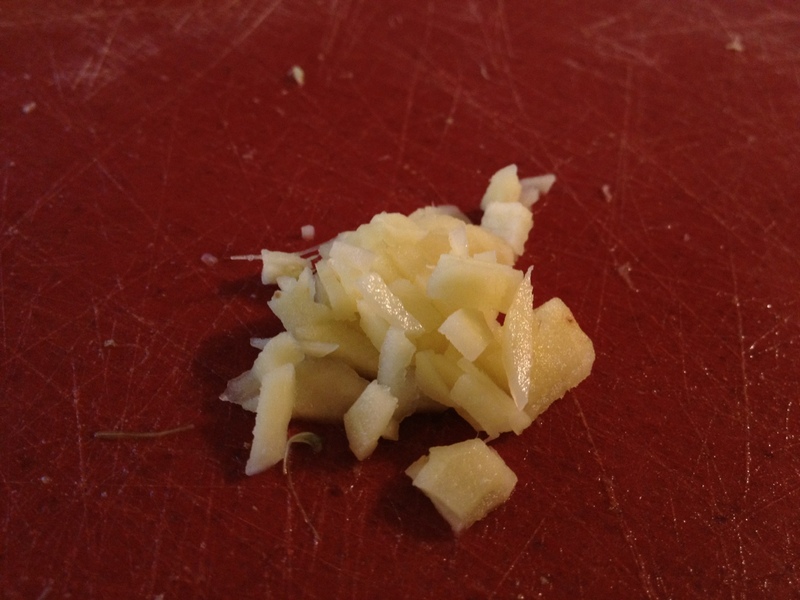 The recipe (or rather a set of tips) is by Oliver Peyton and you can find it here. 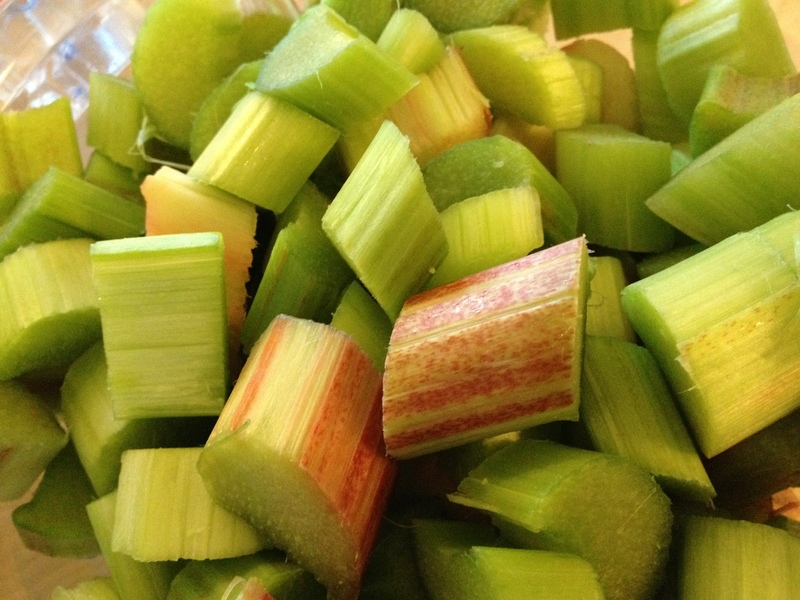 I got some great looking organic rhubarb yesterday and cut them up in chunks. 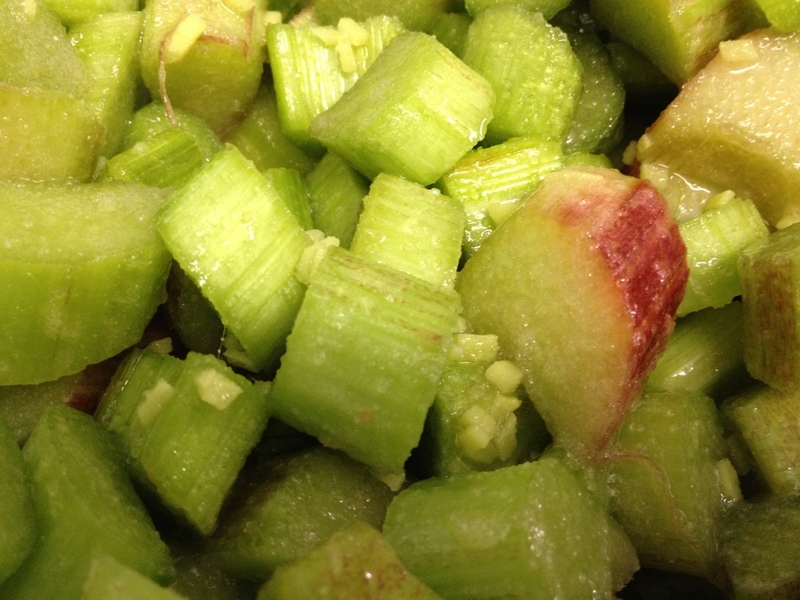 The recipe tells you to experiment so I added finely chopped ginger to the rhubarb. 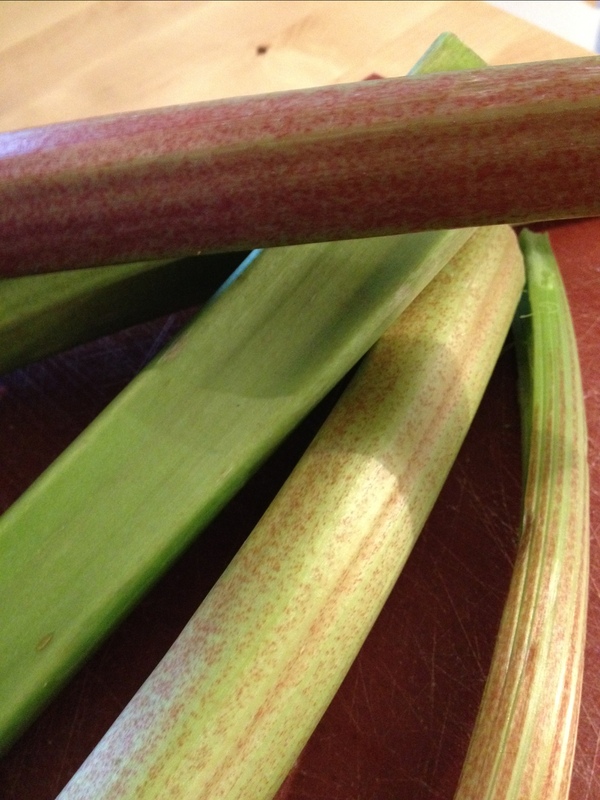 I coated the rhubarb and ginger in sugar and cornflour (150g sugar, 2 tablespoons cornflour). 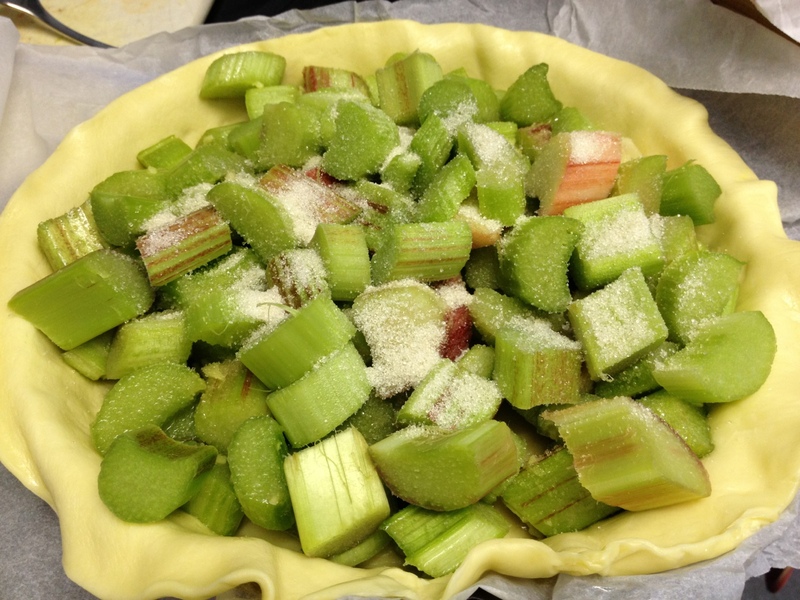 I lined my pie dish with pastry using shop-bought pastry (by Peyton’s explicit permission) and filled the dish with the rhubarb. 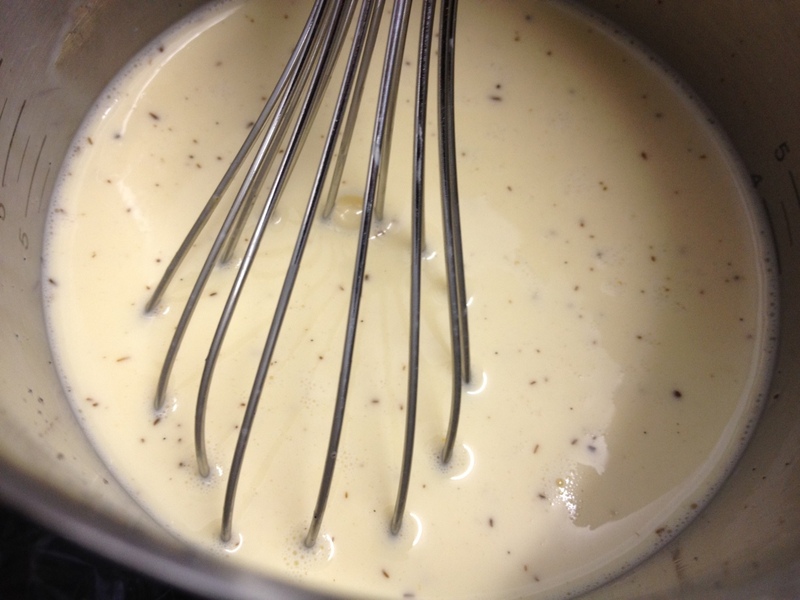 I poured a vanilla custard sauce on top consisting of 2dl milk, 2 eggs and some vanilla from a pod. 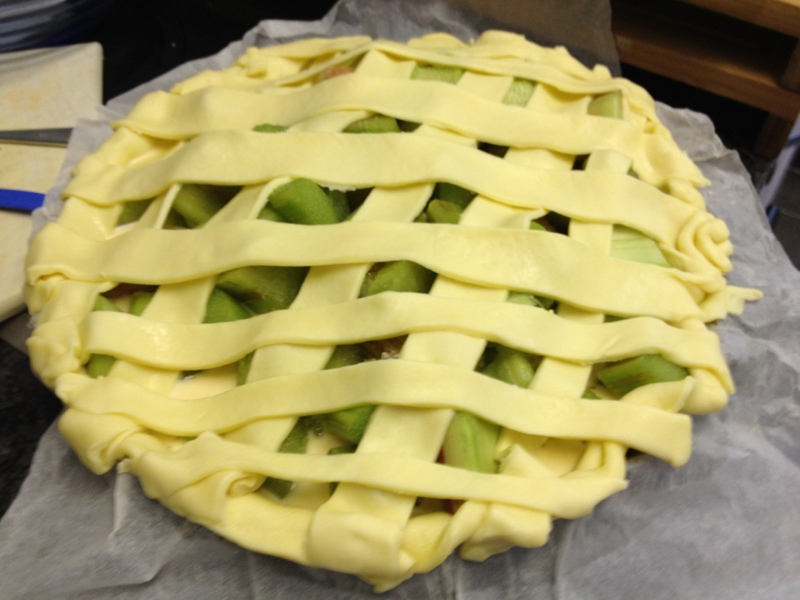 I used the rest of the pastry to make my lattices. According to the recipe it should bake at 200C for about 50 minutes. 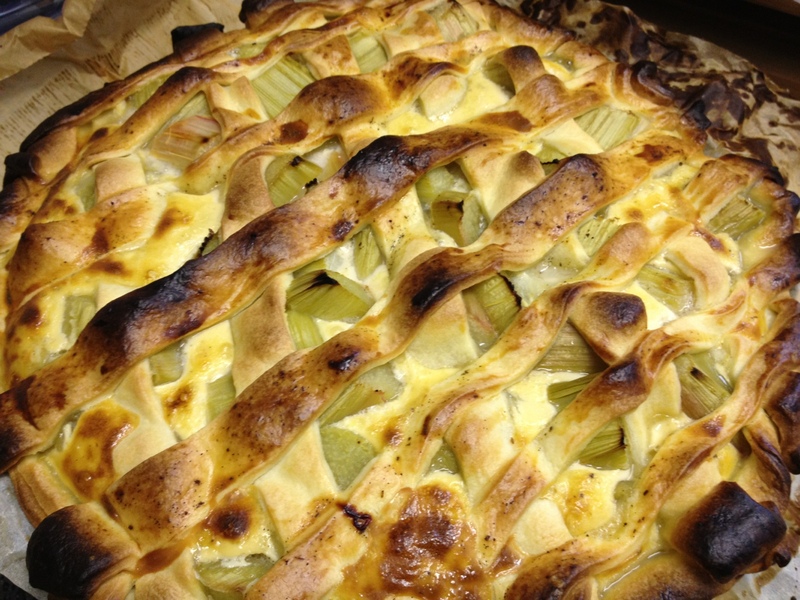 I got distracted by the Great British Menu and by Mr. Peyton judging very harshly on my favourite chef, Alan Murchison, but remembered my tart in the nick of time. I couldn’t wait for it to cool down properly and cut myself a piece. It is no looker, I admit. 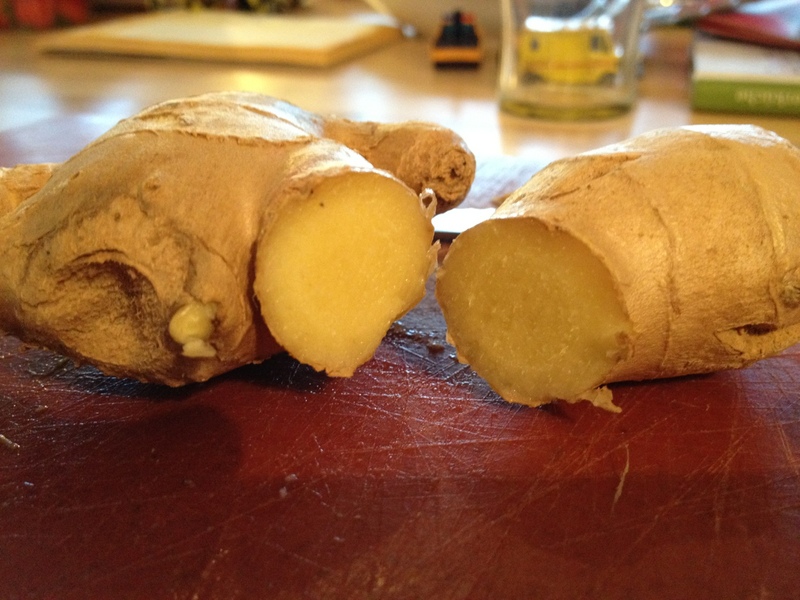 But the rhubarb and ginger is a killer combination. They work brilliantly together and I cannot wait to have a second slice!